Energy Minister, Joram Gumbo Tuesday unveiled a new seven-member ZESA management board which has been tasked to end corruption in the state enterprise and implement the recently completed forensic audit recommendations, among other functions. Announcing the appointments Monday afternoon, Gumbo said the occasion had come at an opportune time when ZESA Group of Companies is being re-bundled into a single entity. "I am therefore pleased to announce the appointment of Collins Chihuri who will chair the board,Benson Munyaradzi, Jacqueline Sande, Trust Chifamba, Hussien Omar, Catherine Befura and Thomas Timire," he said. The energy boss challenged the new board to tackle rampant corruption in the entity involving procurement, pre-payment meter issue allocation, illegal electricity connections and nepotism in the recruitment process. 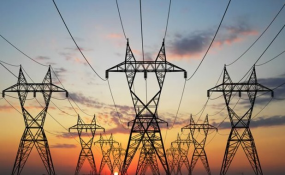 Gumbo said that the recently incepted forensic audit report will be handed over to the new board for implementation and expedite the completion of Hwange 7 and 8, Bulawayo and Harare Repowering projects as well as the acceleration of the pre-paid meter installation. "You come at a time when the company is facing foreign currency and working capital constraints," he said. The Zanu PF official also acknowledged the efforts invested by former ZESA chief executive and his management board. "It would be remiss of me not to acknowledge Engineer Josh Chifamba's contribution, leadership and commitment to the company. It his partly because of his efforts that you find the entity in the state it is today where no electricity shortages have been experienced since 2015," Gumbo said.